IT TAKES chutzpah to tweet “rockets are tricky” shortly after one you have just launched has deliberately blown itself up. But Elon Musk, founder and boss of SpaceX, is not a man who lacks self-confidence, and he did just that on August 22nd after the terminal malfunction of one of his company’s Falcon 9 vehicles. That Arianespace, a French rival of SpaceX, announced on the same day that two satellites it had tried to launch to join the European Space Agency’s Galileo constellation (intended to rival America’s Global Positioning System), had entered a “non-nominal injection orbit”—in other words, gone wrong—shows just how difficult the commercialisation of space can be. Its solar cells, which are mounted on its wings, produce 1kW for every 1kg of panel. That power is fed into lithium-sulphur rechargeable batteries which can store 350 watt-hours per kilogram. (For comparison, the lithium-polymer batteries in iPhones store around 200 watt-hours per kilogram.) The result is a plane that can, potentially, stay aloft for months—though its longest test-run so far is a fortnight. The Zephyr team achieved all this by following the principle of “adding lightness”—jettisoning anything that did not help make the aircraft fly higher and longer. That included the undercarriage. But Zephyr weighs so little and travels so slowly (about 12 knots, or 22kph, as it approaches the runway) that its landing is little more than a scrape. 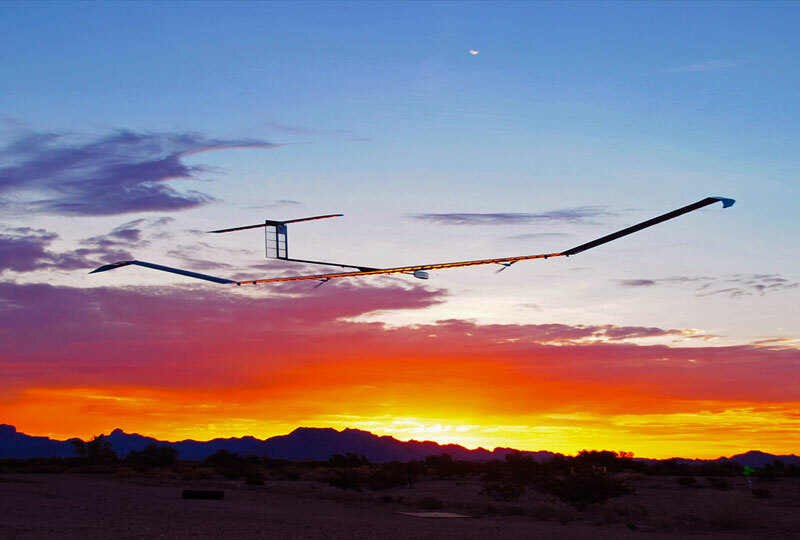 Airbus plans to restrict the marketing of Zephyr’s commercial successors to places within 40° north or south of the equator. That will keep the plane away from latitudes where the winter day is too short for a full recharge, but this should not be too much of a handicap to the company’s marketing department, because almost 90% of the world’s population lives in these sunnier climes. The main uses for satellites are observation and communication. Both are appealing markets for HAPS. Hovering drones could act as relays for telephone calls and internet traffic in places that do not have good enough infrastructure on the ground. And there is never a shortage of customers who would like to snoop on various parts of the Earth’s surface, whether for commercial or military reasons. Airbus is not alone in the HAPS game. Google and Facebook are involved as well—and with similar customers in mind—though Google will also be its own customer, since keeping its Google Earth imagery up to date is a demanding task. Paul Brooks, spokesman for Airbus’s HAPS programme, says he does not see these firms as competitors, but rather as collaborators in proving the idea of endurance flight and promoting the changes in regulations needed to permit its safe use. Once this has happened, and the world’s aviation authorities have agreed common operating standards, HAPS should prove a cheap and reliable alternative to blasting things into orbit. This article was published in The Economist on 30th August 2014. See this link.